Interested in the candy shoppe chocolate frogs and all? If you think that the candy shop looks remarkably like the Wand shop, then you are correct! Honeyduke’s is made with the exact same roombox plan as Ollivander’s. 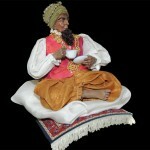 But it did give me an opportunity to work on a different type of detail. Although the plan is the same, the outcome is different. 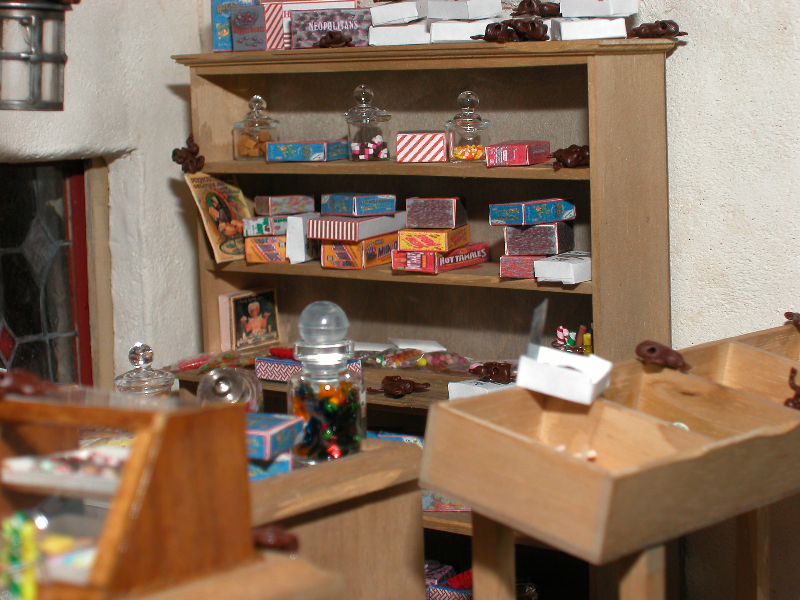 The candy shop is awake and lively—with very lively chocolate frogs jumping here and there! If you need chocolate frogs, I would advise that you contact Ericka Van Horn. 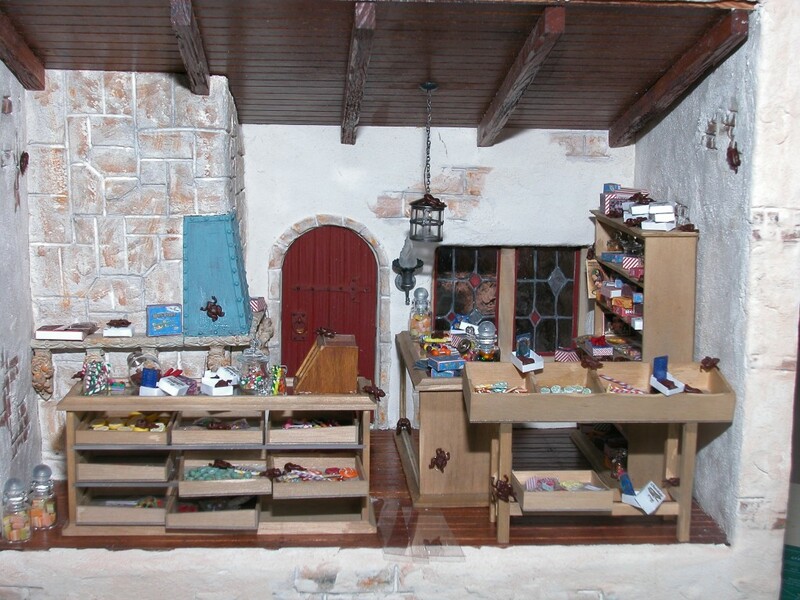 She also has a website, E V Miniatures where she sells such wonders as spell books, wizarding items and other specialty pieces. it is certainly worth a look. But giving credit where credit is due, specialty candy can also be made for you by Laurel English of Belera Beach Originals. 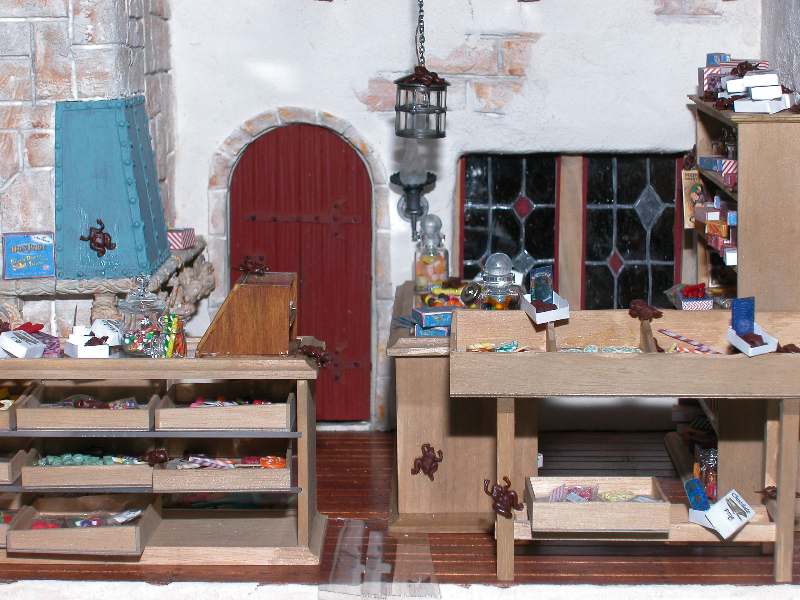 Her handcrafted candy is certainly a treasure. 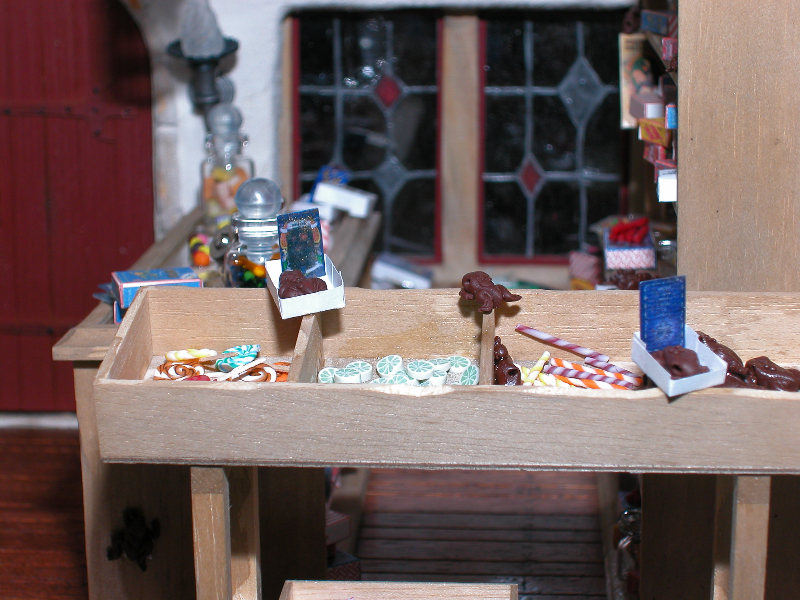 And close-up shots of the shop suggest that those chocolate frogs are out of control! Thanks for visiting the shoppe! 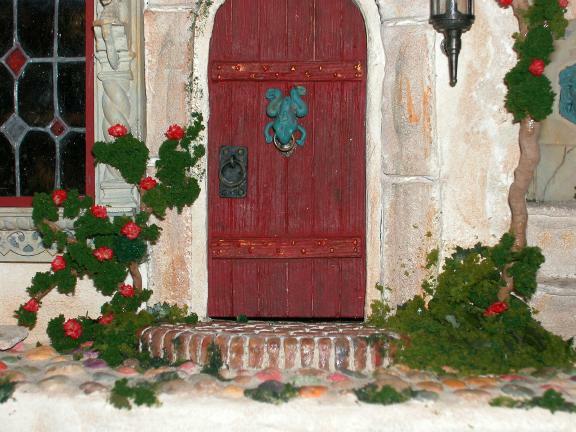 Enjoy the doorknocker outside!